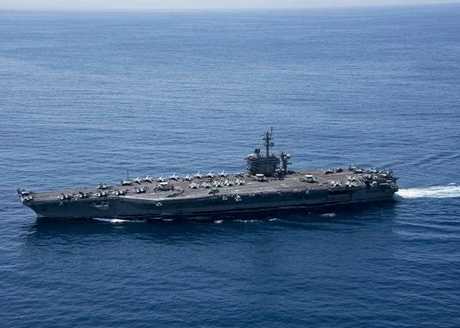 A series of glitches meant that the USS Carl Vinson and four other warships were actually sailing in the opposite direction when officials announced it was surging towards the West Pacific, The New York Times has revealed. A defence official went even further, telling the AFP on Tuesday that the armada had not yet even begun sailing to the region. The official, who spoke on the condition of anonymity, said the warships were, in fact, still in waters off the northwest coast of Australia and would "start heading north towards the Sea of Japan within the next 24 hours". The naval strike group had actually spent the past few days conducting drills with the Australian Navy, the official said. The ships are not expected to reach their destination until the end of the month, CNN reports. 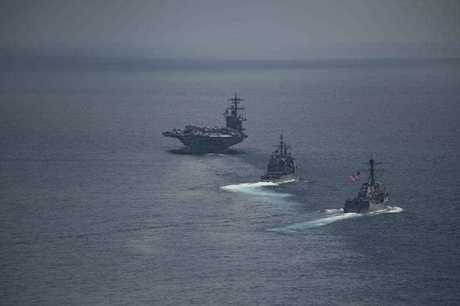 The story unravelled when the US Navy released a photograph showing the Carl Vinson thousands of kilometres away in the Sunda Strait, between the Indonesian islands of Java and Sumatra, on Saturday, the same day Kim Jong-un was making a show of his military arsenal in the streets of Pyongyang. However, when the announcement was made, the naval strike group was still headed towards Australia, where it was scheduled to take part in joint military exercises, 5600km away. White House officials told the Times that the military's Pacific Command made the announcement prematurely, and the mistake was repeated later by defence secretary Jim Mattis. 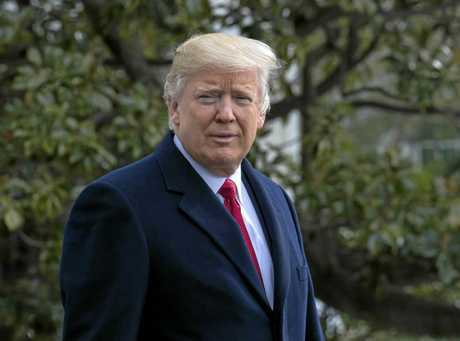 US President Donald Trump talked up the military moves last Wednesday saying: "We are sending an armada. Very powerful." By the time the misunderstanding was realised, the genie was out of the bottle, with news outlets across the world reporting that the naval strike group was steaming north to scare the rogue nation straight. 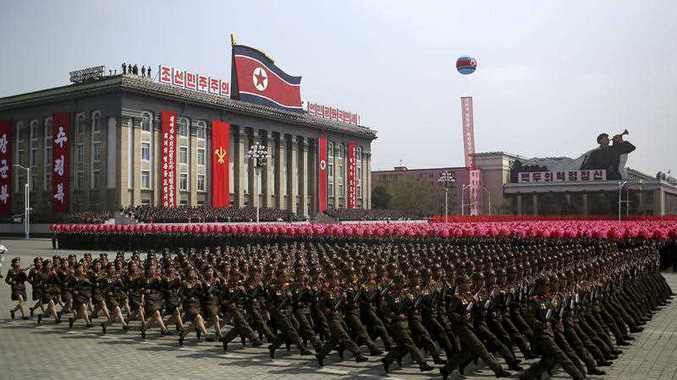 The show of force was met with aggressive rhetoric from the North Korean officials, who said on Monday that the US's military moves were creating "a dangerous situation in which a thermonuclear war may break out at any moment".